The Chapter Leadership Team is honored to represent the 112 women who are members of NAWIC CH. #100 as of September 1, 2018. Kansas City is proud home to many small and large, national commercial and industrial contractors, architects, engineers and is proud to be the largest NAWIC chapter in the United States. As a group, it is our privilege to be the compass that guides our chapter on this journey to Enhance the Success of Women in the Construction Industry! Our Officers and Board of Directors and Committee Chairs will lead this group of outstanding women in construction in a number of educational, outreach and social activities throughout the coming year. ​For more information on NAWIC or becoming a member please visit our Membership page. Not pictured, Sara Hutchcraft, Recording Secretary and Dina Juarez, Director. Both women work for Faith Technologies and were called out of town at the last moment! In the drop-down table below are photos of each Officer and Director and brief biographies where you can get to know these women and find out what feeds their passions! Christy Turner has been in the construction industry for 18 years. She recently changed jobs going to work for Construction & Interior Services in Feb. 2018 as a Construction Manager. Along with Christy holding a Paralegal certification, she has a BS Business Administration. She is passionate about reaching members and others in our industry through education. Having been the PD&E Chair last year and reflecting on the excellent programs she lined up, it's easy to see that education is her passion. She has three furry, four-legged kids at home! Bethany is a busy Mom, so her bio is in progress. Lexa Palomarez has been a member of NAWIC since 2017. She started in the construction industry as an intern with Turner Construction and in April of 2015 became a full time Project Engineer. Lexa holds a BS Architectural Engineering from KU. Her passion for NAWIC is shown by her involvement in Education, Industry Outreach Involvement and Networking. Sara has a BS in Construction Science and Management from Kansas State University and has worked for Faith Technologies since July 2014 as an Associate Preconstruction Manager. Sara is married and has 2 dogs, a boxer mix named Kei and a Siberian Husky named Kita. She and her husband have a goal to travel to all 50 states some day! They also enjoy watching K-State football and basketball and going to movies! EMAW! Her passion for NAWIC and the industry outreach, education and relationships that it fosters started in 2016. This explains why a couple of her inspirations are about people: Bill Snyder Goal #4: Improve - Everyday...as a player, person and student. And a quote from Maya Angelou, "People will forget what you said, people will forget what you did, but people will never forget how you made them feel." 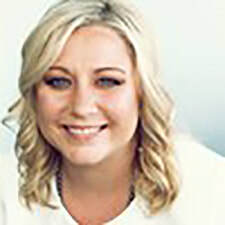 Karen has been in the construction industry since 1999 and is currently the Sr. Business Development Coordinator for MMC Contractors Kansas City office. She started with MMC Contractors in Jan. 2004 after an 18 year career with Hallmark Cards. Karen holds a BS, Management and Human Resources, but realized her passion is not there! Karen was married to her best friend on the beach in Negril, Jamaica exactly 3 months after 9/11 and their passions lie in their three rescued Great Pyrenees, Shasta, Aspen and McKinley, as well as doing home improvement projects together. She loves to travel and practice photography - especially landscapes and scenery. You will often find her behind the camera instead of in front of it. Karen's passion for NAWIC began in 2017. Communication, Industry Outreach and Professional Development & Education are where her passions lie. It makes sense that with three XXL dogs, her favorite motivational quotes revolve around leaving footprints! "Do not go where the path may lead, go instead where there is no path and leave a trail." Ralph Waldo Emerson and this one: "Dogs leave pawprints on your heart!" Amber is still working on her bio too! Christina will get her profile updated for us soon! Melissa joined NAWIC in March 2017. Although she is relatively new to construction, she finds the industry interesting and is learning new things daily. As operations manager for Kramer Commercial, Melissa’s role encompasses several areas. She oversees and handles employee benefits, payroll and is executive administrator for the president and general manager. Melissa’s background is in customer service and she is passionate about helping others which makes her the perfect person to be our Membership Chairperson for 2019. Melissa is married to Jim and they have 3 grown children, 2 grandsons and a yellow Labrador named Sammi. "Life is 10% what happens to you and 90% how you react to it…" . Charles Swindoll. Laura is up to her eyeballs in some sort of project! She'll get a few minutes to introduce herself to everyone soon! Lindsay is a busy Mom. That's redundant! Lindsay also serves on another board and is our website/pr co-chair so as soon as she comes up for air, she'll get her profile updated! For those that know Vickie, she needs no introduction. She just completed a two-year stint as the NAWIC Midwest Regional Director and is the proud new Aunt of a little one that lives in Chicago. As soon as she gets back in town from spoiling him and trying to make him a Chiefs fan, she'll get her bio updated!